Estate planning seems easy and simple enough, but it can actually be a fairly complex process. The biggest reason for the process being complicated is that there are so many misconceptions surrounding how to plan your estate properly. At Capital City Law, we work with you every step of the way to determine the best options for you and your family when creating your estate plans. Our trusted professionals have debunked some of the most common misconceptions about estate planning, so you can better understand the estate planning process. We love them, but family can be complicated. Most of the time, family includes a lot of people with a lot of thoughts and opinions. In estate planning, this can complicate the process if you’ve already passed and you have many people trying to do what they think honors your wishes (or sometimes they’re trying to honor their own wishes). It can be chaotic. The most beneficial thing to do is to have that plan in place, and mitigate any potential conflict and uncertainty. Many people believe that estate planning is only for the wealthy. This is not true. We all have assets and how much they’re worth doesn’t keep you from creating a plan for them once you die or can’t make decisions for yourself. No matter how much you have, you want to make sure what you do have goes to the right place. Last wills seem easy to create, and technically they are. They simply need to be in writing, signed, and verified by two witnesses. People often create their own last wills in an effort to save money. However, without the help of an experienced estate planning lawyer, creating your own estate plan can cost you more later on. If you create your own will, there are no upfront costs to you. 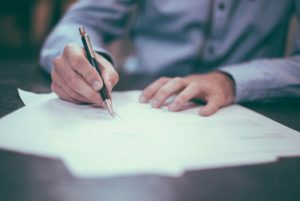 However, the probate and estate settlement process can often be costly, and if you create your own will and testament, or don’t create one at all, it’s hard to predict what that process will look like and account for it. Trying to please everyone is impossible. With so many people in your life, it is impossible to please everyone when planning how to divide up your estate. These are your assets and your estate. You have a right to take care of it as you see fit. Worrying what other people think will send you down a rabbit hole of anxiety that you’ll never come out of. Simply designating a beneficiary for your assets is ignoring potential scenarios that could happen. What if your beneficiary passes, or they are no longer capable of making decisions? It’s important to take into account possible situations and plan for them. The unfortunate reality is that it doesn’t matter how old you are. Your life can change at any moment. Knowing how precious life is, it’s important to prepare for the “in case” situations. The best thing you can do for yourself and your loved ones to prepare for anything that could happen in the future is to create a plan and put it in action. Just because they both have the word “will” in the name, does not mean they’re the same thing. A living will and a last will and testament are two different things. A living will is a document that you make to prepare in case you lose the ability to communicate. This gives you the ability to designate people to take care of your finances, your children, and make decisions on your behalf in the event that you can’t. A last will and testament only comes into effect after you die, and don’t protect you if you get sick or become incapacitated. Last wills dictate where your assets go after you pass. It’s really important to know the truth when it comes to estate planning. If you believe any one of these myths, you’re likely to leave your family scrambling to try to figure out what to do with your assets once you are gone. You have the power to take control of your life, even after you pass. Call Capital City Law today to speak to an estate planning expert. We are dedicating to putting the control back into your hands!